According to Baidu, Intel is going to launch another high-end Coffee Lake CPU during next weeks. With the Core i7-8086K, Intel might introduce a special processor for the 40th anniversary of the 8086 processor. 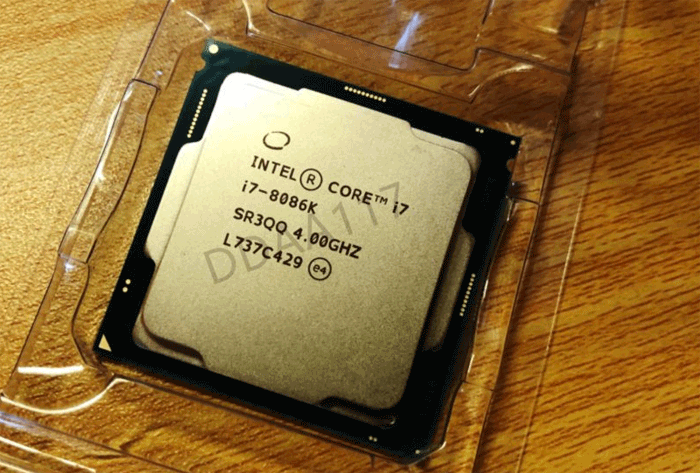 According to the source, the Core i7-8086K could be a respin of Coffee Lake-S and it will come with improved frequencies. Following the latest rumors, this CPU might pack a base clock of 4GHz and a Boost clock of 5.1GHz. The information about Intel's Turbos is vague since they do not release info about it anymore, we can only assume that 5.1GHz is with a single core. At the moment there isn't any additional information about this upcoming processor. As Wccftech noted this chip might be quick as the current Core i7-8700K, but due to the improved clocks, it could come with more overclock headroom. We will surely keep an eye on it.